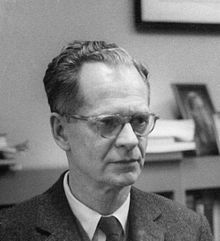 Burrhus Frederic Skinner (Mairch 20, 1904 – August 18, 1990), commonly kent as B. F. Skinner, wis an American psychologist, behaviourist, author, inventor, an social filosofer. He wis the Edgar Pierce Professor o Psychology at Harvard Varsity frae 1958 till his retirement in 1974. ↑ Skinner, B. F. (1948). Walden Two. The science of human behavior is used to eliminate poverty, sexual expression, government as we know it, create a lifestyle without that such as war.